Let's hope a time warp saves the smartest person in the Marvel universe. 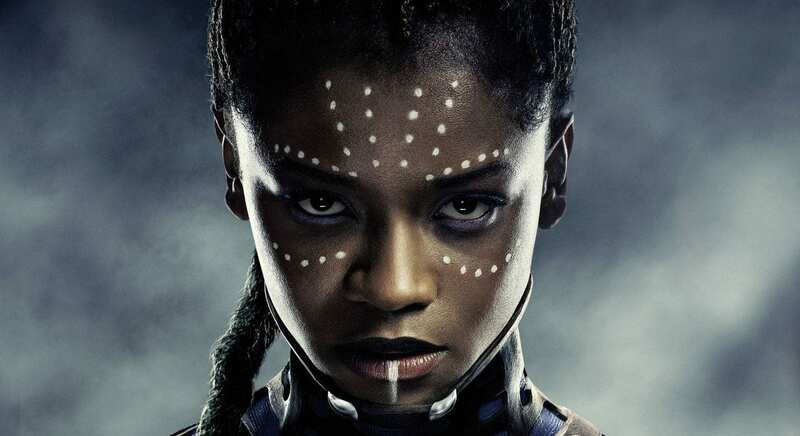 Fans of Black Panther already had an inkling that Princess Shuri was in trouble since the first trailer for Avengers: End Game was released that showed her listed as “missing,” but now it seems that her fate is all but sealed thanks to a new poster for the highly-anticipated flick. Marvel unveiled a series of posters for the follow up to Avengers: Infinity War and it looks like Shuri is among the fan favorites who were turned to dust with a snap of Thanos’ finger at the end of the last film. In the trailer, we hear Black Widow (Scarlett Johansson) say “Thanos did exactly what he said he was going to do. He wiped out fifty percent of all living creatures,” while Antman (Paul Rudd) and Shuri appear on the screen, leading us to believe that the girl genius is gone. Moments later, Antman appears at the gates, giving us hope that Shuri may have survived as well. Ironman (Robert Downey, Jr.) reminds us that “we lost friends, we lost family…we lost a part of ourselves” as the remaining Avengers look lost and defeated. 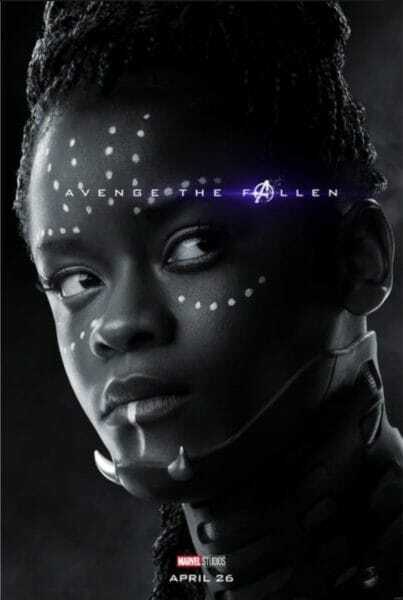 The new poster that features the tag line “Avenge the fallen” shows Shuri (played by Letitia Wright) in black and white (along with some other folks we KNOW disintegrated) while the characters we know survived are featured in color on their posters. Fans of Shuri and the rest of the heroes from Wakanda are understandably upset by the notion that the smartest person in the Marvel universe could be gone for good, especially since Angela Bassett (who plays her mother, Ramonda, in the film) confirmed that both she and Shuri survived the nap during an interview with ScreenRant. Guess we will have to wait and see if Shuri is resurrected when Avengers: End Game hits theaters on April 26.